Saturday evening. 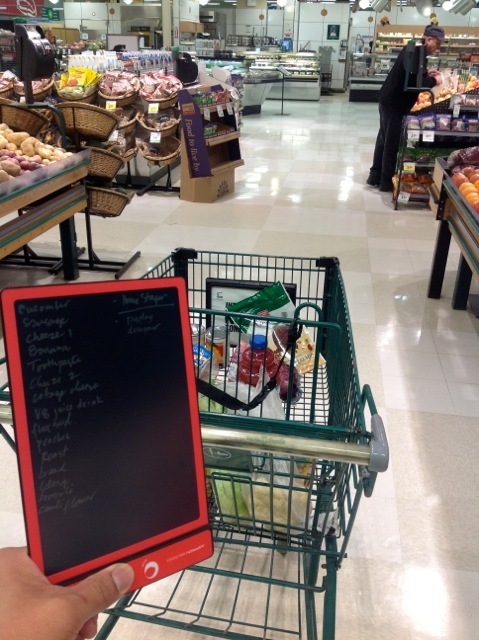 Here I am with a Boogie Board with our grocery list. Going to the grocery store IS NOT my favourite thing in the world to do. But it has to be done.